Riddle:- What have the death of a quantum physicist and the sudden withdrawal of an offer to publish a book on the same day got to do with each other? Before I answer the riddle I’ll welcome you to this new Blogsite, where I hope to make friends. I badly need friends. 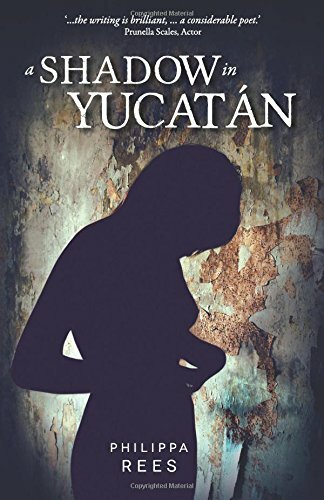 In the last week I have found such warm friendship from the Indie Publishing Blogosphere so an ill wind has driven me to wade forth into this foreign world. For an old person (well not that old) it’s a great adventure; the virtual world of virtual friends. It could be the phoenix from the ashes of hope, because that offer to publish had come after forty years of trying to find a publisher who believed that readers were more interested and interesting than Tesco said they were. I was going to die happy, my mission achieved. Anyway he pulled the offer when I realized the contract forbade me to publish anything myself, and he said he had no intention of an ebook. He wouldn’t and I couldn’t. So now I shall get around to it myself. The riddle of the timing is what the whole book is about. Synchronicity; the Collective consciousness, and although the connections between the two meet only in my mind, they have driven me to talk to y’all…so there you have it, the rings that spreads from the dropping of a stone, outwards, connecting everything to everything. First I’ll tell you about the quantum physicist whose death was reported in the Times’ Obituaries yesterday, just after I got the brush off from the publisher. I only met Ted Bastin once. 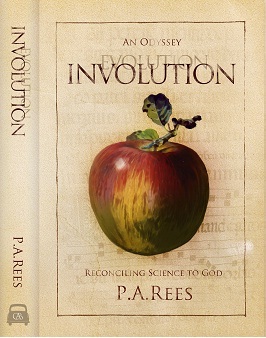 It was because of the theory that led to the book, the Theory of Involution. So the book connects the two. In 1970 a very exclusive and rarefied group of Cambridge dons, called the Epiphany Philosophers invited me to present this theory to a group in a bungalow in a garden. An epiphany it certainly was! I was way out of my depth amongst prize academic sharks. Mr Bastin and the collection of professorial heavyweights had me for breakfast…well a pre dinner snack. Their group was allegedly interested in the links between science and religion and my theory of Involution was just that, a new theory of consciousness. After I had outlined its central ideas Mr Ted Bastin asked a question about quantum theory. Since I knew nothing about quantum theory I suggested I could better illustrate the point through painting. ‘Well both actually. It’s about space-time’ (Another word for consciousness). That did it. He stormed out. All the others shuffled about and I was saved by a priest who took me to the pub, and then put me on a train. That was in 1970, so the death of the book and the death of Mr Bastin were linked not only in time but by something else, a kind of contempt. This blog has another purpose, to discover whether contempt was merited. So now you understand why I need new friends. To talk to, to read to, to listen to. Please visit, leave messages, and above all talk of cabbages , kings and synchronicity. We are all connected other than by satellite…or maybe satellites are the outer forms of what really links us. The instances of improbable connections are worth sharing. Your post on the LinkedIn site lead me to your blog. I have often asked myself is there really such a thing as coincidence. That often leads me to recall a character from the mystery series by Tony Hillerman. One of the Navaho police characters is always stating that there is no such thing as a coincidence. Usually, I am not a mystery reader nor a big novel reader, but Hillerman is an exception. If synchronicity exists, what does it mean in the larger context of philosophy and religion?? If synchronicity exists, how can free will exist simultaneously? I have no idea if this is the type of discussion you expected or wanted, but since I awakened much earlier than I had hoped, decided to do some serious thinking. Dear Juliana, Thank you for being the very first to comment on my site, or visit it at all! Quite made my day. Your comment very much in line with what I hoped to generate. I have created a ‘Co-incidence collection’ category, as yet to post my many, but in the hope that others will give thought to what co-incidence implies. My book about to be published ( Called ‘Full Circle’ Evolution and Consciousness) is a history of scientific thought demonstrating the recovery of memory and its intention is to illustrate that ‘thought creates reality’ and that the interconnections in the Noosphere ( Teilhard de Chardin’s word for the interconnected sphere of all consciousness) then manifests in the physical world in ‘co-incidences’ that are only meaningful to the mind of the person who perceives them, because it is only in that mind that those simultaneous events are knotted together. So a collection of such events would perhaps start to provide the evidence drawn from many individuals. So thanks for kick-starting a discussion. Hopefully, I will get to see more comments and follow this discussion. Have you read any of Brian Green’s books regarding the cosmos and reality, etc. ?